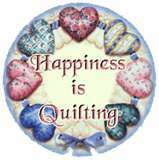 The Montague Farm Quilters gather each week as a friendship - quilting group. This is not a course. The members usually work on their own projects and at their own pace. There is always friendly help at hand for whatever project you are working on. There are occasional workshops. There is a waiting list to join this club. For more information please phone 8264 5223.